As a hunter you know studying animals’ hunting grounds can mean a lot of waiting and hiding. 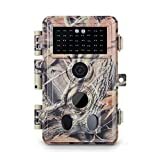 You probably also know that trail cameras (also known as game cameras) can save you tons of time and offer insight into where they visit most. Making sure you plan your hunts in the best possible places for success, is much more efficient with a trail camera. 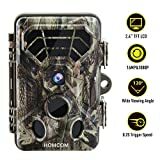 What gets confusing, is which trail camera to buy! 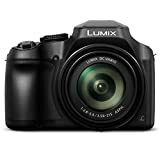 To help you track the best camera for you, we have put together this shopping guide, making deciding far less challenging. 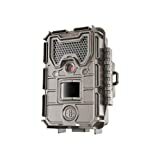 Infrared Flash: Trail cameras with this kind of flash are ideal for nighttime shooting. There is very little possibility of other hunters or unsuspecting animals seeing the flash while photos are being taken. They take images very discreetly and refresh quickly between shots. Another advantage of cameras with infrared flash is that they have a longer battery life. 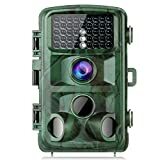 Incandescent Flash: With great resolution and clearer pictures, game cameras with this kind of flash offer much more options for hunters needing to know more details of the animals they are tracking. They produce good quality color photos, and provide a lot more visual details when tracking. Trigger: Reviewers are much happier with trail cameras that have faster triggers. Fast trigger times mean the camera loads quickly between images and therefore offers more pictures of the targeted game. Check the specs of the camera you intend to buy to make sure the trigger speeds are sufficient for your needs. Camouflage: The better the camouflage on the trail camera, the better the reviews! 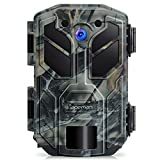 This is because cameras with better camouflage mean your camera will be more hidden and less likely to be seen or vandalized. Warranty: Reviewers see their cameras as a long term investment. Having a trail camera with a good warranty will protect your investment. 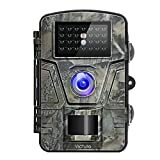 Trail cameras are left outside for long periods of times and therefore need to be durable and dependable. Battery life: Reviewers do not appreciate cameras which don’t hold battery for as long as they would like. Battery life is usually brand specific, so check the various top brand specs to find a battery life you are happy with. Also, cameras that have video features will use a lot more battery when in those modes, so decide if it is necessary for you before purchasing or using this feature. 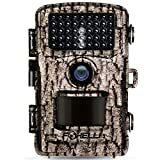 Having a video function for your trail camera means you can track by shooting video, recording up to a couple of minutes of footage at a time. Depending on your needs, cameras with video can include sound and HD quality as well. Battery life is a concern when choosing your camera as this will determine how long your camera can track for and how many photos it will take. Photo imaging uses much less battery power than video. Consider the flash range before buying your trail camera. A longer range will mean that at night the target won’t have to be as close as it would with a shorter ranged flash. The detection circuit of a trail camera is very important for animal detection. Trigger time (how long a picture is taken after the object has been detected), recovery time (how much time it takes the camera to store the photo and get ready for the next image) and the detection zone (the area the camera can monitor and detect movement) are all part of this circuit. These numbers should be checked in the specs before your purchase to make sure it meets your needs. Detection zones vary from camera to camera. High quality cameras will give you much wider distances of 85 feet or more. A handy feature for your game camera is a viewing screen. This allows you to check your camera without downloading photos. This saves you valuable time when testing a spot to place your camera. Security cases for your trail camera are usually sold separately, as are security cables. These items protect your cameras from animals and other hunters. Double check if your camera comes with this security or add one to your shopping list. 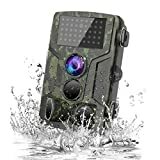 A lot of these are brand or manufacturer specific so check the specs to make sure it will fit your new game camera. Deciding on battery options before your purchase can save you a lot of unnecessary time! Most trail cameras have a 6V or 12V input for an external battery which means having to fetch your camera to recharge less often. Some even offer solar panels, which will ensure less running costs and your camera will always have power. For maximum photo and video storage choose a game camera that has slots for memory cards. Having only internal camera memory will mean having to take down the camera every time it is full and needs a download. With a card, you are able to replace full cards with empty ones and keep imaging. 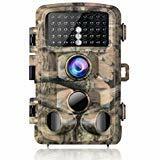 Moultrie: Moultrie offers a line of high-quality game cameras and wildlife feeders, and is owned by EBSCO Industries of Birmingham, AL. Bushnell: Bushnell Corporation specializes in outdoor optics and imaging. They were founded in 1948 by David Bushnell, selling binoculars purchased from Japan. Primos: Best known for their accurate and reliable duck calls, Primos’ founder started selling his duck calls in 1976, and the company is family owned still today and are renowned for their trail cameras. Browning: Browning is a firearms, game camera and sporting goods manufacturer founded in 1878 and headquartered in Mountain Green, Utah.